Made from the finest, hand-selected Grade 1+ (Pro Grade) English Willow. Viking Full Length Padded Bat Cover included free of charge. 3D Embossed Chrome & Purple Decals. 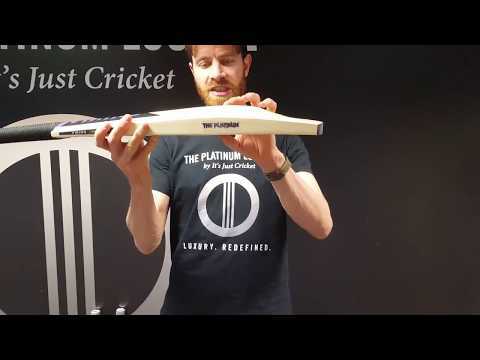 Designed by the team at It's Just Cricket, incorporating feedback from thousands of customers, and handmade in Yorkshire, England, by Viking's master craftsman, James Dollive, "The Platinum" Cricket Bat is steeped in cricketing wisdom and expertise. Made only from the very best, hand selected Grade 1+ (Pro Grade) English Willow, "The Platinum" Cricket Bat truly is "luxury redefined" and features a full, convex profile, which creates a very wide and forgiving sweet spot. The low middle makes it ideal for front foot play and use on slow and low pitches. Available only through It's Just Cricket, and in very limited numbers, this exclusive cricket bat provides a rare opportunity to own a cricket bat that is wholly designed with the customer in mind. Every owner of "The Platinum" by Viking Cricket Bat benefits from a free of charge padded bat cover to protect your investment, and a free of charge engraving service (usual cost £10), so you can personalise your bat however you like and give it that cool individual finishing touch! 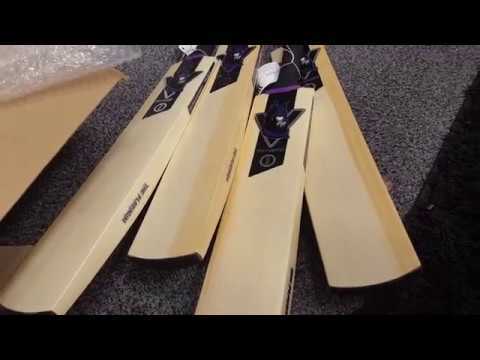 Christmas truly does come early for anyone who purchases the Viking "The Platinum" Cricket Bat!